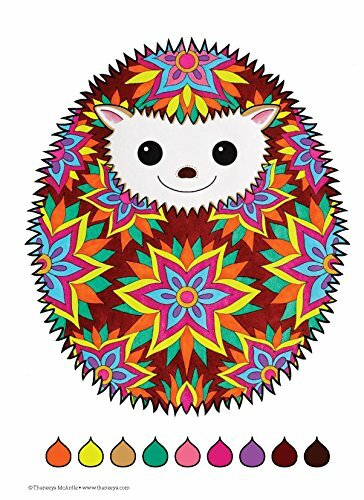 Inside this big, spiral-bound coloring collection you’ll find peace signs, sugar skulls, folk art, happy campers, mandalas, and more! 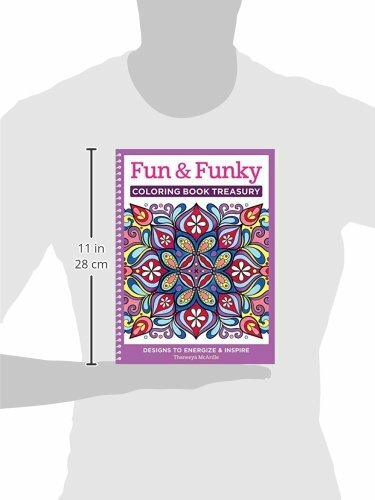 Inside Fun & Funky Coloring Book Treasury are 96 ready-to-color art activities that will unleash your inner artist! 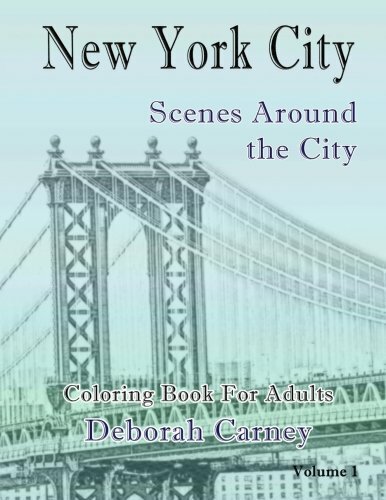 Each vibrantly detailed illustration is designed to help you relax and unwind while you exercise your creativity. 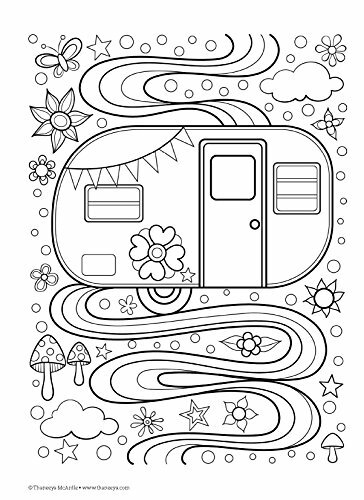 You’ll find awesome designs with groovy subjects like peace signs, sugar skulls, folk art, happy campers, mandalas, and so much more—just waiting to be filled with color! 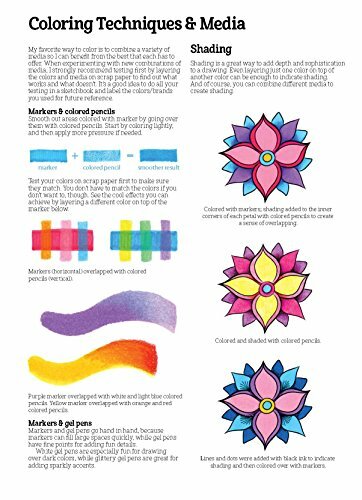 Beautifully colored finished examples are provided to encourage your creativity, along with a handy beginner-friendly guide to basic art techniques, from patterning and combinations to color theory. 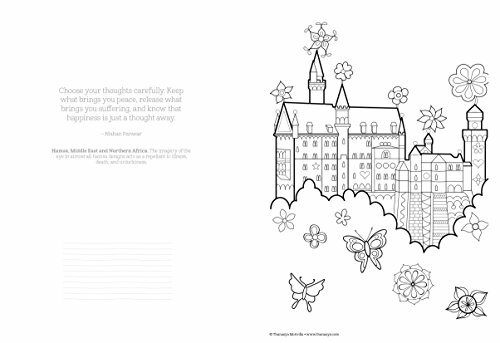 This big therapeutic coloring book for grownups is perfect for decorating with markers, colored pencils, gel pens, or watercolors. 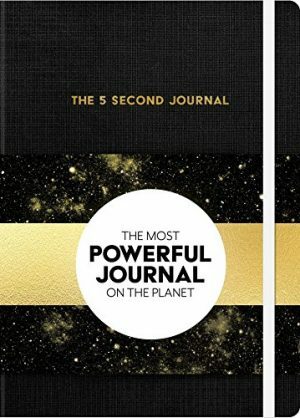 Printed on one side only of high-quality, archival-grade, acid-free, 200-year, extra-thick paper that won’t bleed through, all of the pages are perforated for easy removal, so you can display your finished work—or gift it to a friend! 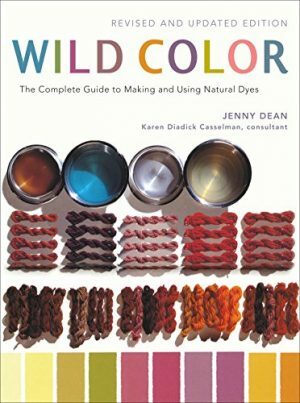 Fun & Funky Coloring Book Treasury is bound in a sturdy spiral cover, which lays flat or can be folded under itself for easy, frustration-free coloring in any space. 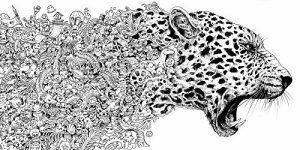 The designs vary widely in complexity, from big, simple lines that are easy to fill in with big swipes of color, to tight, intricately detailed shapes you can lose yourself in for hours. 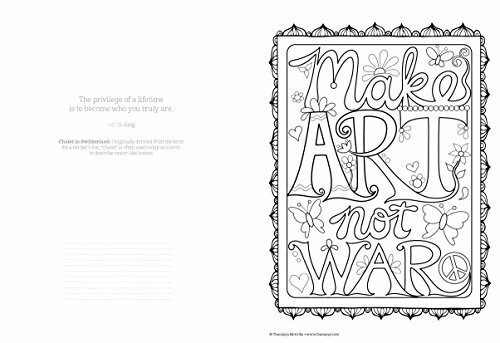 With 96 designs and 208 pages, this big coloring book for grownups is three times the size of a standard coloring book—three times the fun, three times the relaxation! 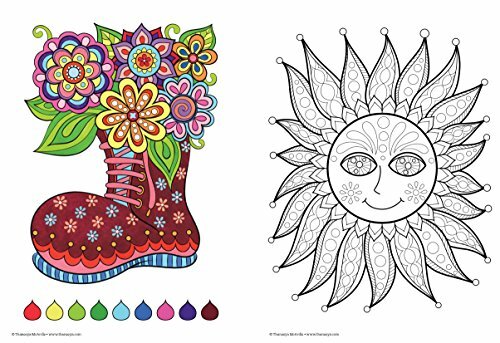 Coloring is the ultimate relaxation. 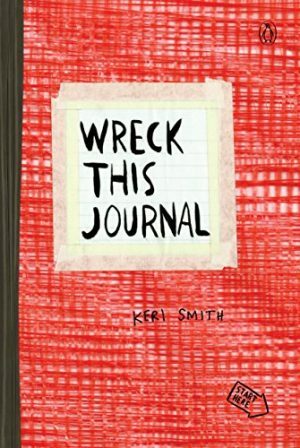 This gentle activity takes us back to a place of simplicity, and provides a wonderful way to de-stress and spark creativity. 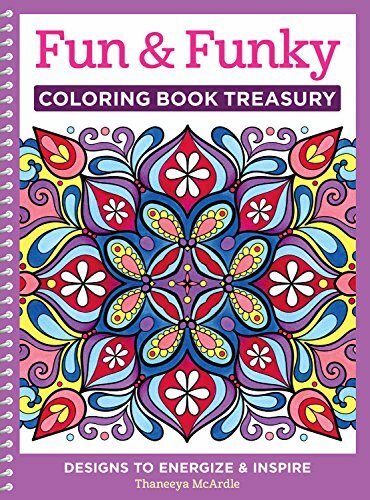 Come inside and play with doodles, shapes, and patterns with the treasure chest of creative coloring inside Fun & Funky Coloring Book Treasury!